Computer building isn’t just a skill or profession; it also has a community of enthusiasts. Many people, myself included, enjoy building computers, so there are many tips and tools that we’re able to share with you. First, I’ll start with a few websites. These will help you lay out a build or evaluate a build you may already have planned or made. Want to assemble a PC, have a rough idea of your budget, and don’t feel like doing all the extra work required to make sure you’re getting the best for your money? No worries, just try Logical Increments. Logical Increments is a website that has a constantly-updating sheet of compatible parts, making builds suitable for various price ranges, all logical increments upwards in terms of power. The downside of Logical Increments is that it favors all hardware equally. So, for instance, if you have a game that’s CPU-heavy, you could be better off buying a build with an expensive CPU and a cheap GPU, something you won’t see on Logical Increments. There’s also a lot of deals and combos that Logical Increments may not pick up on. While it’s great to work off of, sometimes you may not be getting the absolute best performance for your money. If you’ve read my articles, especially from the Hardware Buying guides series, you’ve likely already read examples of me singing my praises for PC Part Picker. The reason? 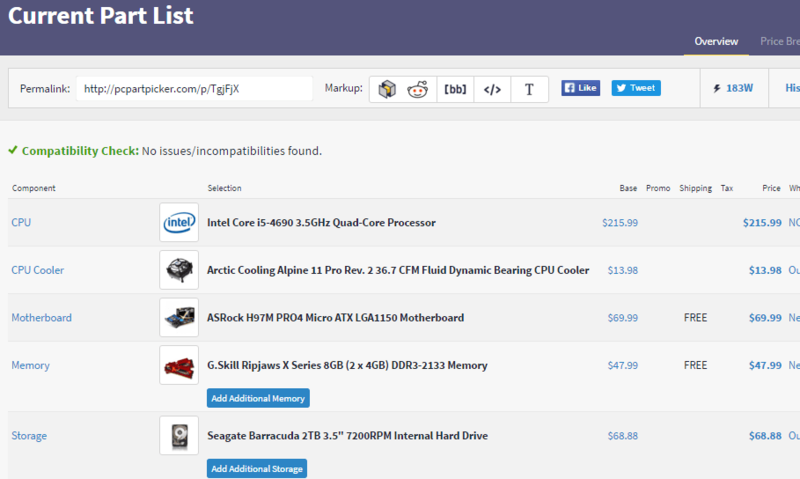 PC Part Picker is a platform that allows you to compare hardware components at all different price ranges, levels of performance and more. It gives you prices from all the retailers that sell that product, as well as the price of the retailer that’s selling it for the least, to ensure that you’re always getting the best possible deals on your hardware. And unlike making a partlist on, say, Newegg or Amazon, PC Part Picker has built in compatibility issue checking, preventing you from buying builds that don’t actually work together. It even includes an estimated wattage counter, includes mail-in rebates and combo deals, and allows you to share your builds anywhere on the Web! If you’re curious to see my computer build, check it out here. Note that the GPU is no longer manufactured, however, and that my build was built a year ago, so don’t order it or anything. Okay, so what is after those? Well, there are some gadgets you should buy if you plan on building, maintaining and repairing computers. None of these are strictly necessary, but they will all serve to make your life much easier and prevent possible issues from arising during building and repairing processes. 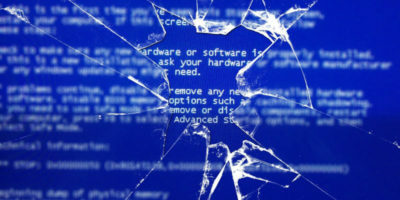 Once you’ve built your computer – or perhaps you already have one – you’re going to want to dust it semi-regularly using a can of compressed air. 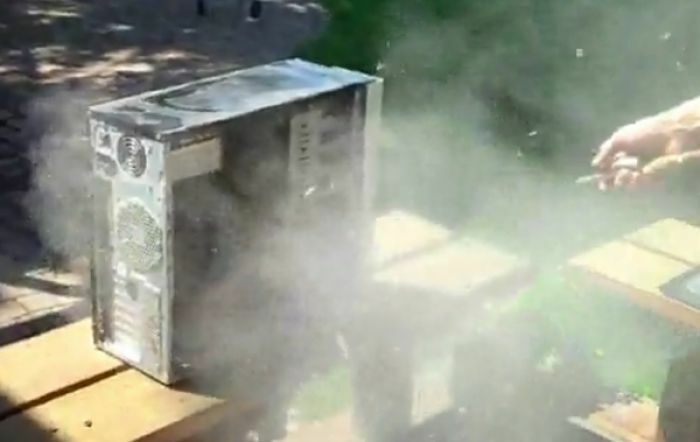 Dust buildup in a computer can cause overheating and therefore losses in performance and potential hardware failures. Plus, if you go too long without dusting out your computer … well, look at the picture above. Do you want that living in your machine? Didn’t think so. Take good care of your computer. 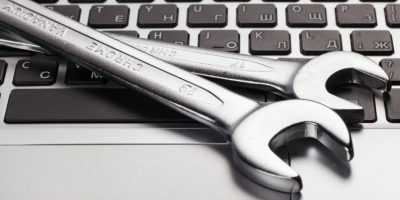 This is important during the building process, as well as points where you may be opening up your computer for repairs or to install new hardware. Static discharges on your components can damage or outright fry them – imagine spending hundreds of dollars on your ideal PC, then having built-up static zap the components. Sound awful? It is, and it happens. An antistatic wristband, used to keep yourself grounded, will prevent that. In addition, when working with motherboards and other fragile electronics, like your graphics card, having an antistatic mat to place them on when they aren’t inside the computer is a good way to prevent them from potentially getting affected by static discharge on the surfaces you’re using. 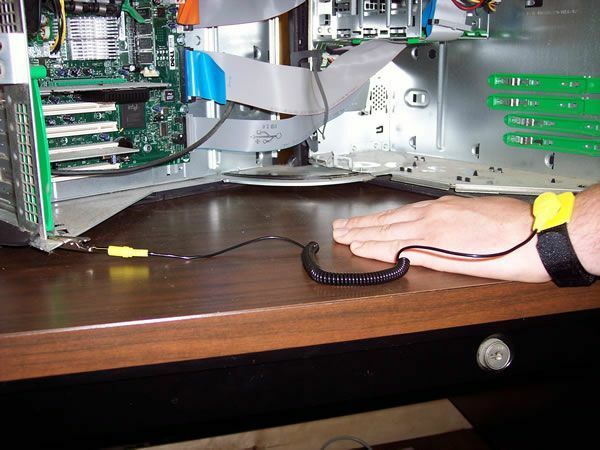 An oft-forgotten wisdom of building a computer, especially if you’re new, is taking the extra time required to perform cable management. 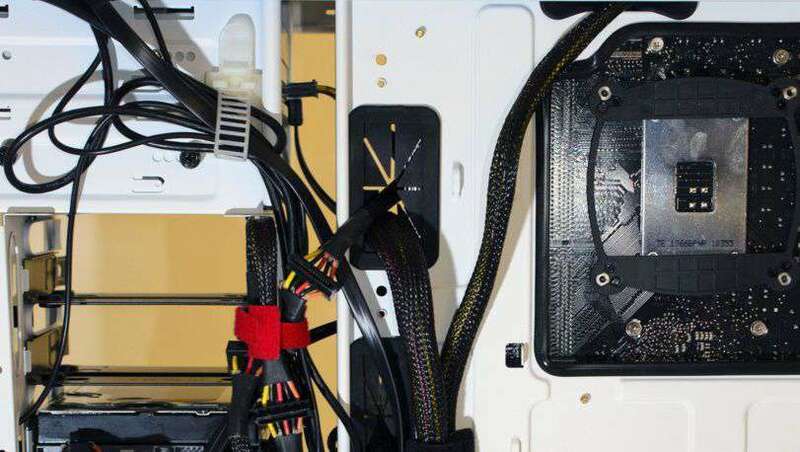 Not only does cable management make everything look neater, it also helps prevent dust buildup, and with the use of some twist-ties, you should easily be able to get all your cables routed out of sight and tied together so you have no other worries. That being said, there are some other hot tips for when you’re building your computer. First, make sure that you know the order you’re going to put your parts in. Typically, it’s best to put the motherboard (and the motherboard’s IO plate) in before anything else, after you’ve done standoff screws. After that, mount the CPU, then the RAM, then the cooler, then your graphics card. Once you’ve done these, it’s generally best to add your PSU and mount your drives, and once you have everything inside your computer, it’s time to link them all up with power cables and such to finish off the build. Use good cable management, know what order to tackle your build in and remember – stay grounded! Antistatic wristbands are there for a reason. I gave you my best websites for choosing builds, some gadgets you should buy for the building process, and a few friendly tips when it comes to actually building the thing. 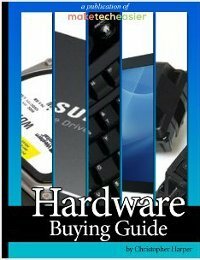 If you’re interested in checking out more of my hardware-related articles, don’t hesitate to check out my Hardware Buying Guide series where I go over how to buy each of the best components. That being said, especially if you’re a builder, do you feel like there’s anything I missed? Anything you’d like to see me cover in the future? Comment below and let me know! Santa Didn’t Bring You a New Computer? Here is Where You Find a Good Deal.